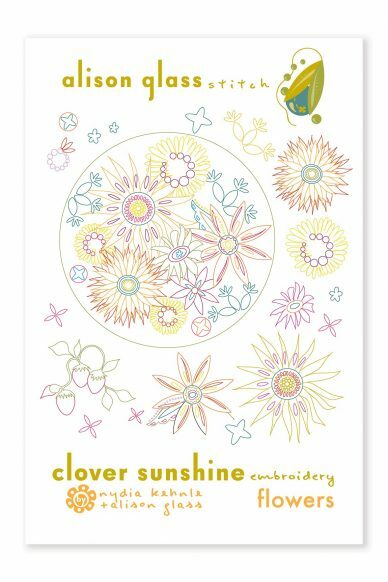 Alison’s art works well for embroidery designs. 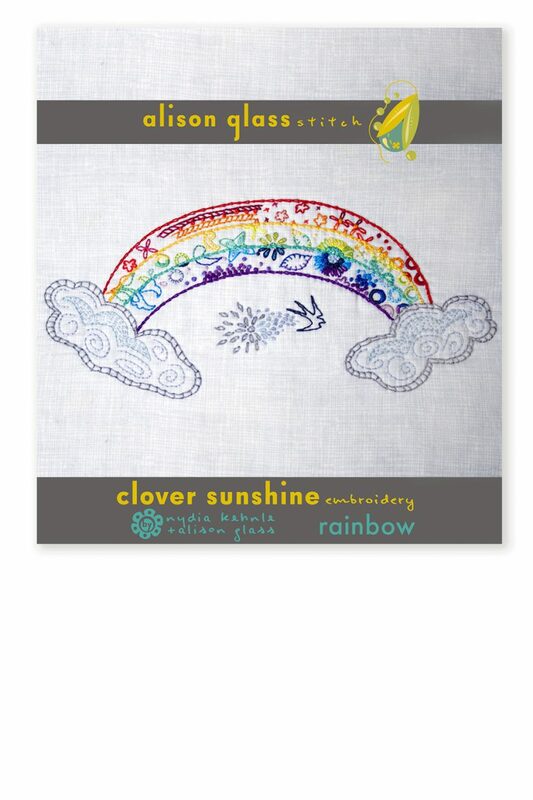 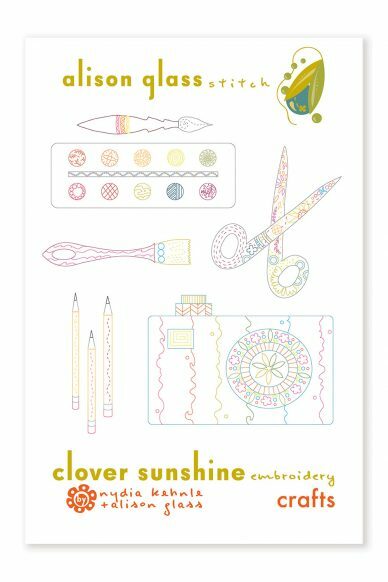 In Rainbow, elements from the Clover Sunshine fabric line combine up in the clouds to make this fun sampler. 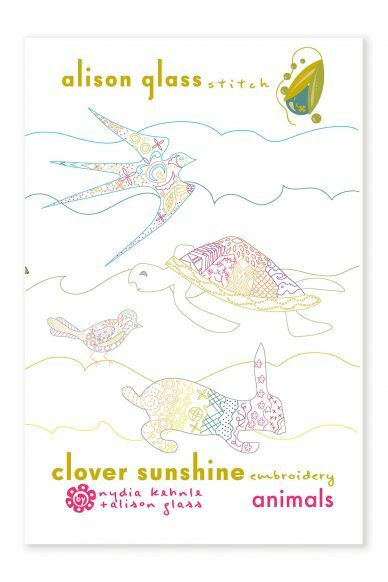 This is a PDF download pattern. 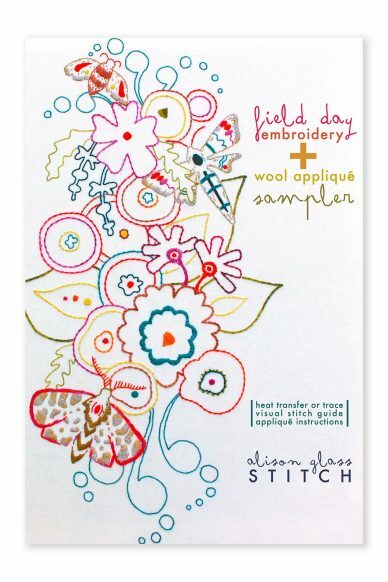 Trace the design onto fabric of your choice then use the stitch guide fill the design.